Every autumn in "Expocentre" together leading global brands and manufacturers, designers and interior decorators to showcase new collections and best furniture fashion, effective business communication and business development. Approved for the role and start shooting 4 - serial historical film "Neva and Nadezhda" (directed by Elizaveta Shmakova). Held a fashion show Charuel Spring/Summer 2013. Approved to shoot promotional video "Mediamarkt" actors agency "M-Globus" – Eskin Anton, Solodkov Vasiliy and Tzin Valentin. Young actress agency "M-Globus" Klinkova Victoria approved for shooting the series "Physical Trainer". Work Agency models "M-Globus" at the 19-th international exhibition of perfumery and cosmetics InterCHARM. 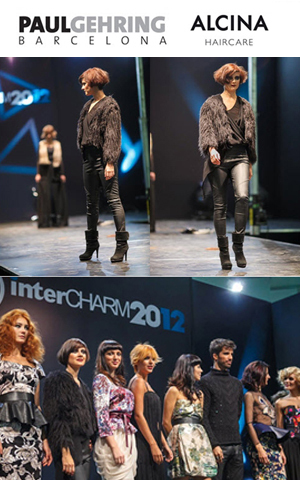 Model and actress agency "M-Globus" Fatina Svetlana tulle on a grand show of Paul Hering, held Oct. 26 at the main stage INTERCHARM iYou.Prof.Show! Shooting video advertising "Recipes desires."